London is every makeup artist’s dream. It’s high-paced and the opportunities are endless. Basically, once you make it in London you have the potential to go global! Especially in London, every makeup artist needs training to be seen as a serious beauty professional. You know it’ll be competitive, so why not boost your resume now? With these top tips you’ll find yourself working as a London-based makeup artist in no time! Soho is the go-to entertainment district in Central London—great for an out-of-the-box makeup artist looking to spread her wings! Soho is all about unique looks and glam entertainment. It’s the best area to get creative and show off your skills as a makeup artist. Starting your beauty career in the streets of Soho will give you experience working in the high-paced atmosphere of entertainment and live shows. You’ll probably meet some quirky characters as well! London’s South Bank is known for its vibrant tourist attractions. With an abundance of actors and performers in this area, there’s potential to land a job by freelancing. However, there will be a lot of competition for these roles, so refining your makeup skills will give you an advantage for getting a coveted theatre position. If you want to make your resume really stand out, make sure you have some training in wardrobe and styling! You’re more likely to be hired as a makeup artist and wardrobe specialist over someone who just has makeup training. Remember: a well-rounded resume will push you further in the industry! Oxford Street is a main shopping district in London, with tourists flocking from all over the world to get a taste of London’s style. Working with a cosmetic brand on Oxford Street will prepare you for the extremely energetic atmosphere in London. Especially if you’re looking to freelance or start your own business, working in a high-traffic area will give you a taste of just how busy your days could be! If you land a makeup artistry job in this area, you know you have that competitive edge. If you’re looking to break into the London beauty industry, gaining experience in the ever-busy shopping districts can help. Working at a high-paced beauty counter in London’s top department stores or a high-end cosmetic brand’s store will keep your makeup skills at their sharpest. 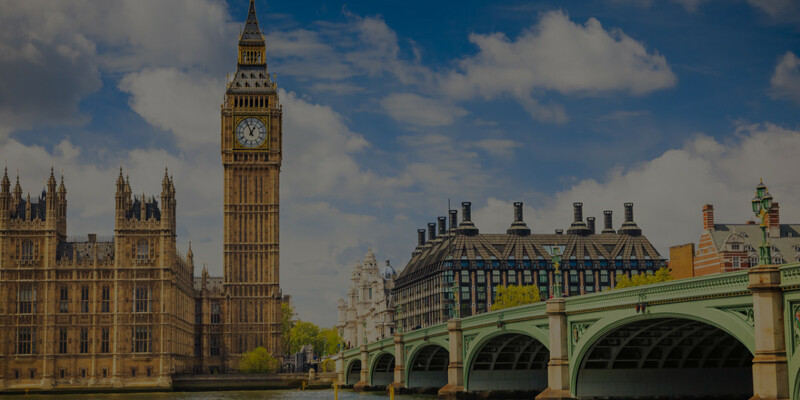 Understanding London’s vibe and high energy will help you gain skills for working in this fast-paced environment. Plus, working in high-end shopping districts like Regent Street will give you experience working with high-profile clients. You’ll also be working in one of the high-end fashion districts of London, so high-end clients will want a gorgeous makeup look to go with their latest purchase. If you’re going to work in London, you need to get used to hiding your star-struck feelings! If you want to become a famous bridal makeup artist in London, then you need to locate yourself near Kensington High Street. It just sounds posh, doesn’t it? Plus, there are so many possible venues in this area—many of which are extremely luxurious. You’ll be able to expand your skills working with high-end and luxury brides—that covers a HUGE market in London. Check out the Roof Gardens or the Royal Garden Hotel to see just how lavish these weddings actually are! Camden—one of the most eccentric areas of London—is home to tons of shops and creative minds. If you’re passionate about creating unique looks for events or just for regular people, this is the area for you. Camden has a vibrant market with tons of stalls, as well as a variety of unique retail stores on the high-street. It may be more difficult to find your preferred makeup artistry job here, but we recommend checking it out to flex your creative skills! Not only does she have an astounding cosmetics company, Charlotte Tilbury is one of the most well-regarded makeup artists in London. She’s worked on tons of famous faces, including beloved supermodel Kate Moss! Keep an eye on her work—there’s no doubt that she’s a top trendsetter in the beauty industry! Lisa is an all-around expert in the makeup industry—she’s worked in skincare, fashion, editorials, celebrities…the list goes on. She’s currently the Global Creative Director for Lancôme, which tells us you should probably stay on top of her work! With such a high position in the beauty industry, Lisa is the go-to for new makeup trends. Her creativity is incredible, and she should be one of the first you look to for inspiration! Roseanna Velin has an impressive portfolio, filled with flawless editorial shoots for big brand names. The coolest thing about her? She’s a pro body painter—which means you can follow her work in the world of full-body beauty looks! As a London-based celebrity makeup artist, Gemma Aldous can give you insight into working with high-profile clients in the UK (including her work on the XFactor!). Check out her website to see her current makeup tutorials as well. You can learn her techniques and see the countless projects she’s worked on in her online portfolio. With an impressive list of brand name clients, Elizabeth Hsieh is a huge source of inspiration for makeup artists in the UK. From working on film and TV sets to covering almost every major fashion week around the world—Elizabeth is true #careergoals for any aspiring makeup artist. View her website to see just a few of the amazing looks she’s created! Alright, if there’s any beauty blog you should be following—it’s Sarah Jagger’s! From skincare to makeup tips and trends, this blog is the be-all and end-all for beauty advice. Sarah has 20 years of experience in the beauty industry, and if you want to amp up your skills to be a makeup artist in London you should definitely follow her. In London, you’ll be earning money in Pound Sterling rather than US Dollars. This means that the average salary is around £20,000 (that’s roughly $25,000 US). 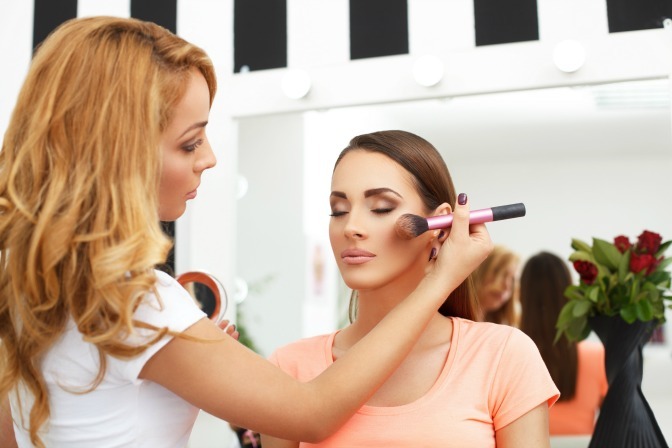 For retail makeup artists, your hourly wage mainly depends on the cosmetic brand. Plus, there are many chances to learn and move up in the makeup industry. In a city as big as London, you can choose any makeup specialization for your career. Moreover, working in an international city will advance your career prospects—you’ll learn from and work with makeup artists from all over the world! If you decide to work in film or television, or become a celebrity MUA, there’s more potential to raise your salary (to over £300 per day!). Once you’re in demand, clients will be coming to you! Moving up in the beauty industry does take time, but a dedicated professional will earn amazing opportunities. Start your makeup career now, and gain the training you need to build your skills. Become the go-to makeup artist for locals and big name clients in a world-class city! Don’t miss celebrity makeup artist Nathan Johnson’s guide to starting your career in New York City! Lip Plumpers — Godsend or Gimmick?